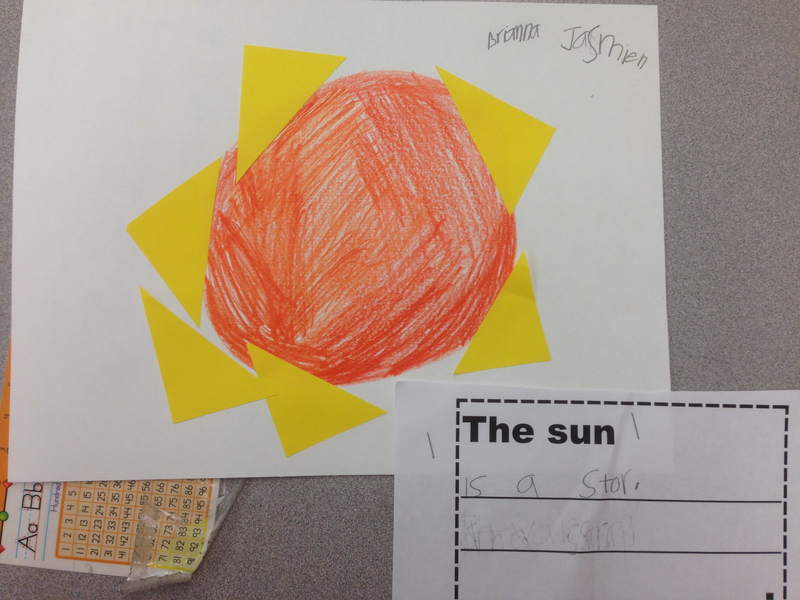 This past week we started our new unit about the sky and the difference between daytime and nigh time. 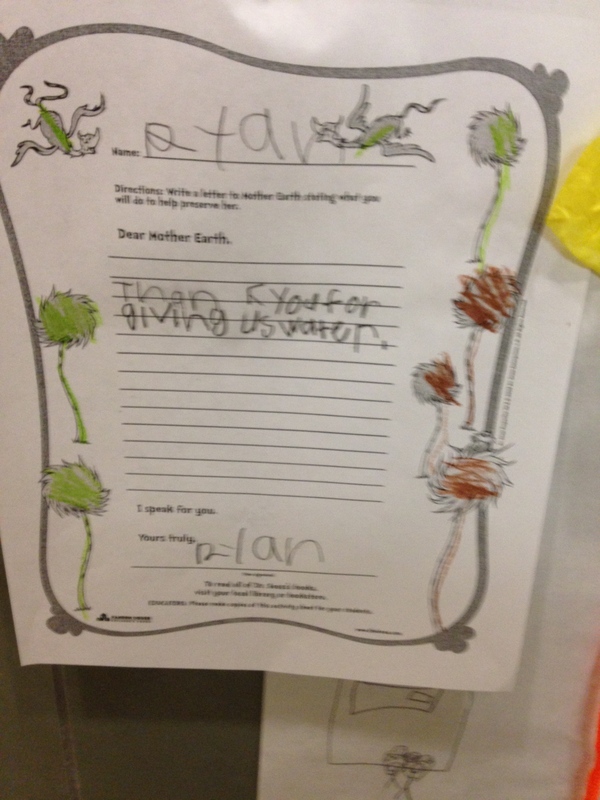 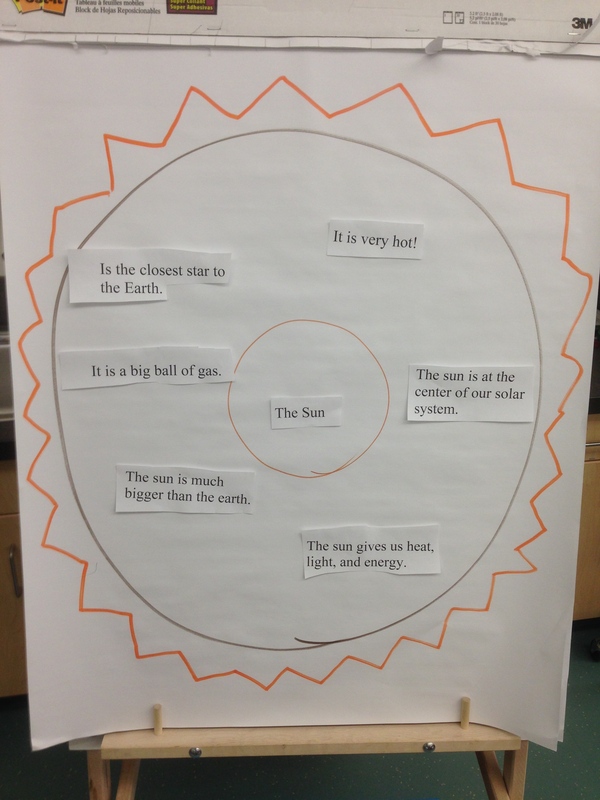 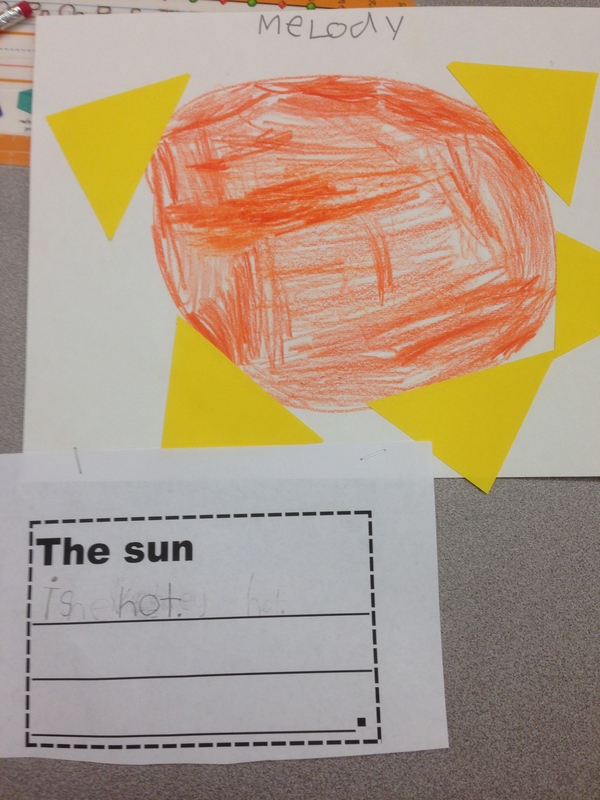 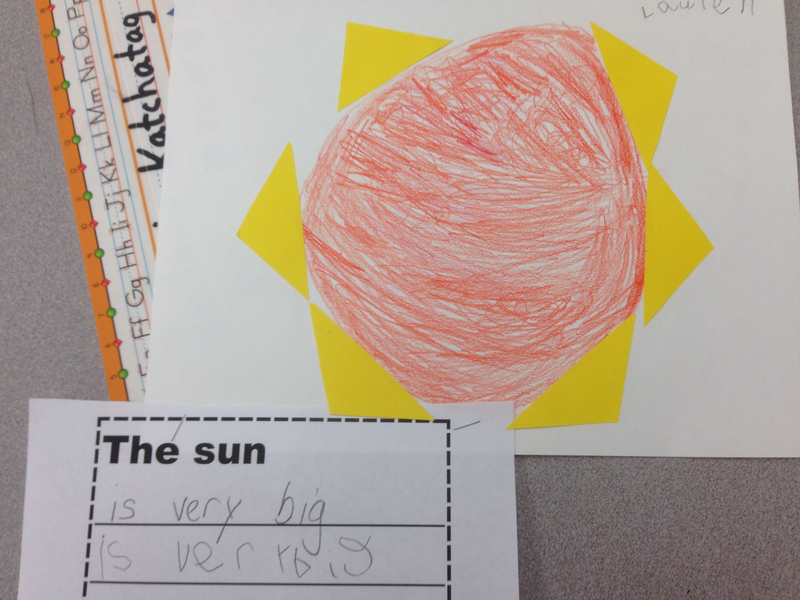 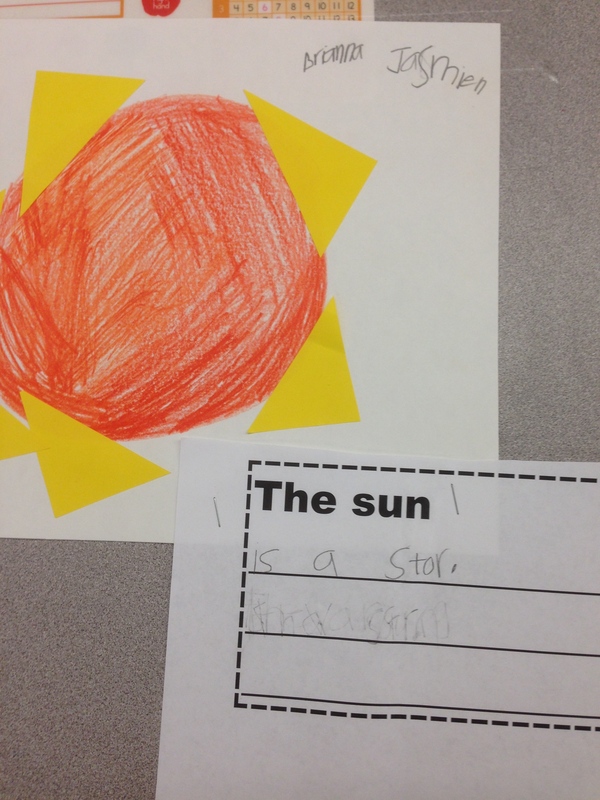 To begin our new unit we started learning about the sun and the importance the sun plays on our planet. 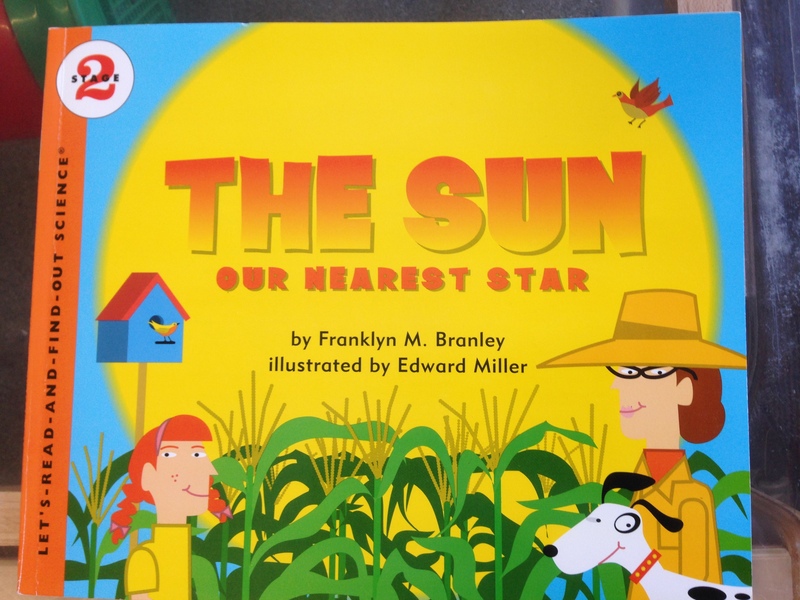 We read a nonfiction book called “The Sun: Our Nearest Star” and watched a presentation on BrainPop. 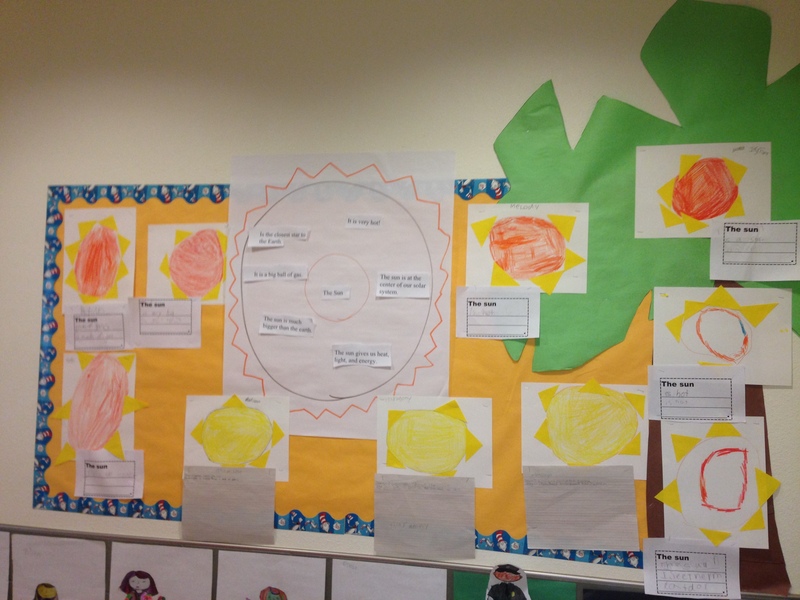 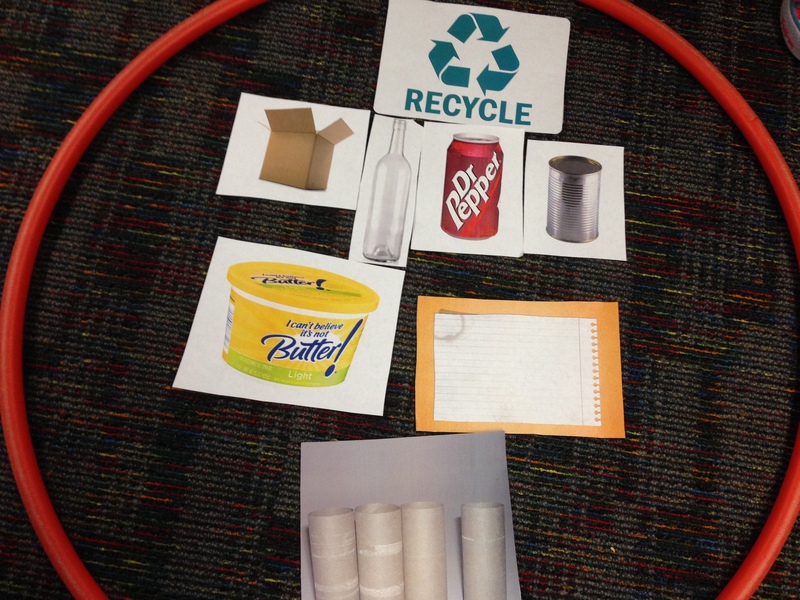 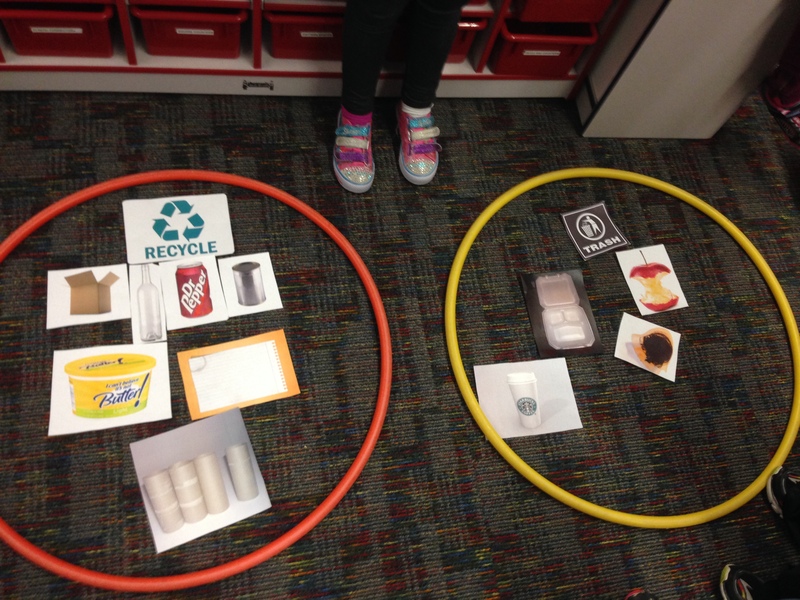 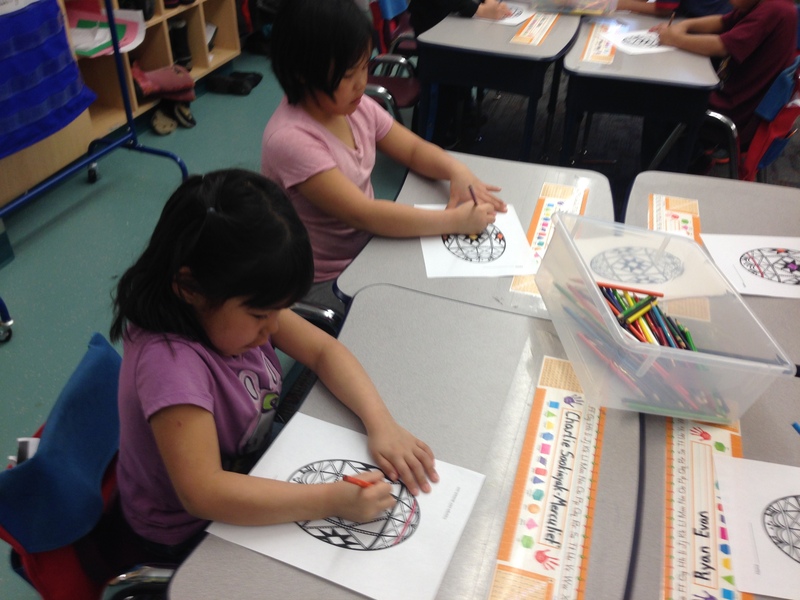 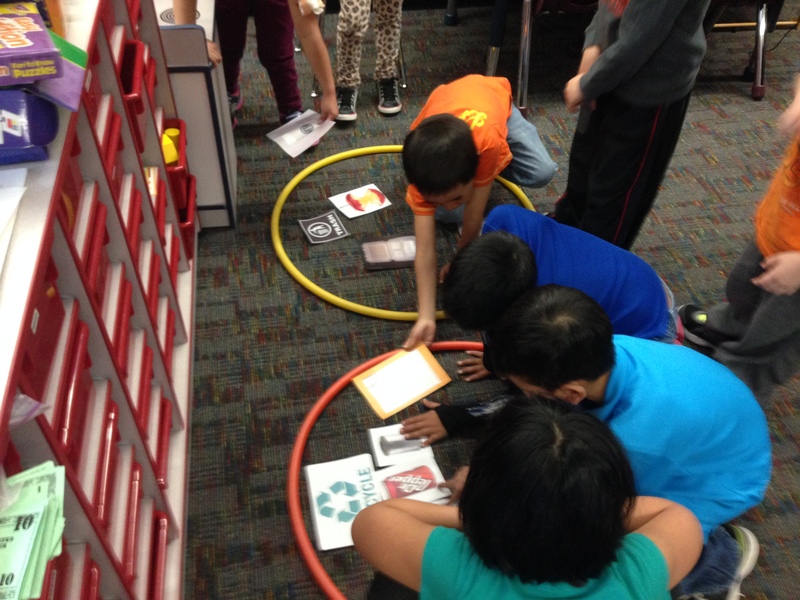 We also created a circle map, made our own illustrations, and wrote sentences. 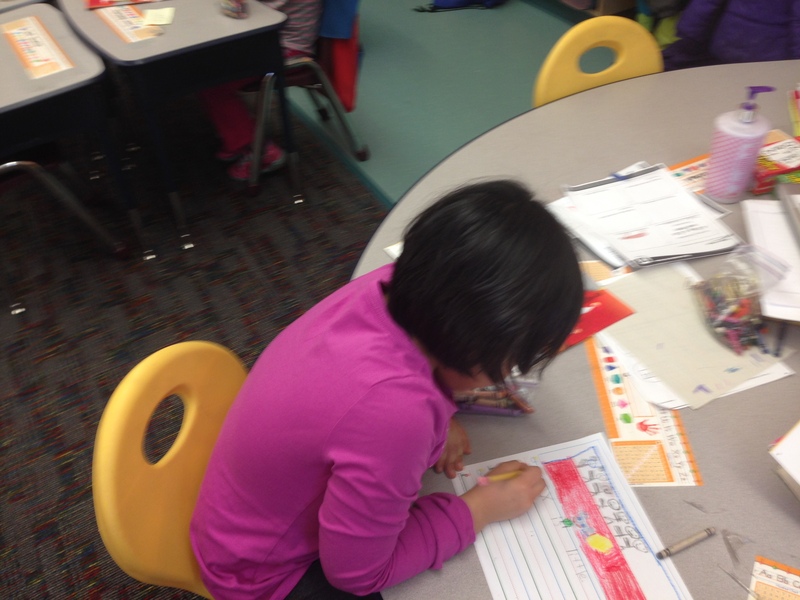 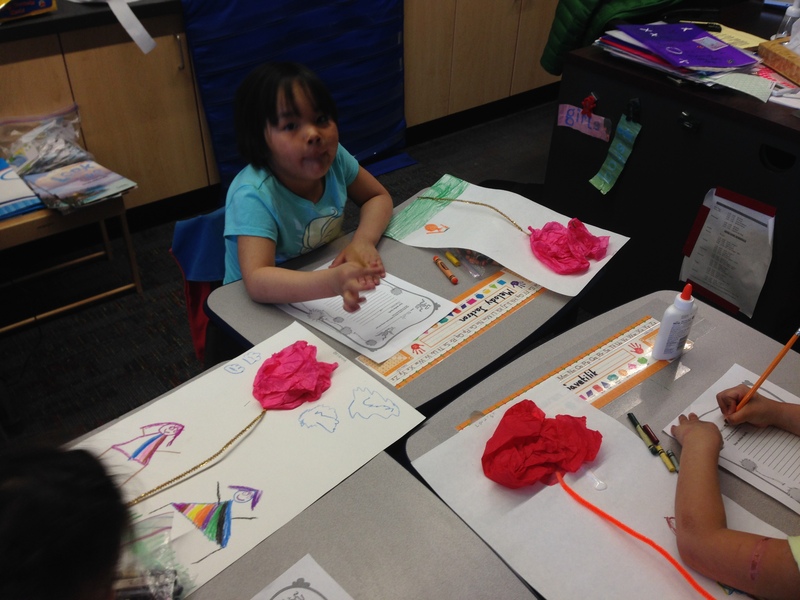 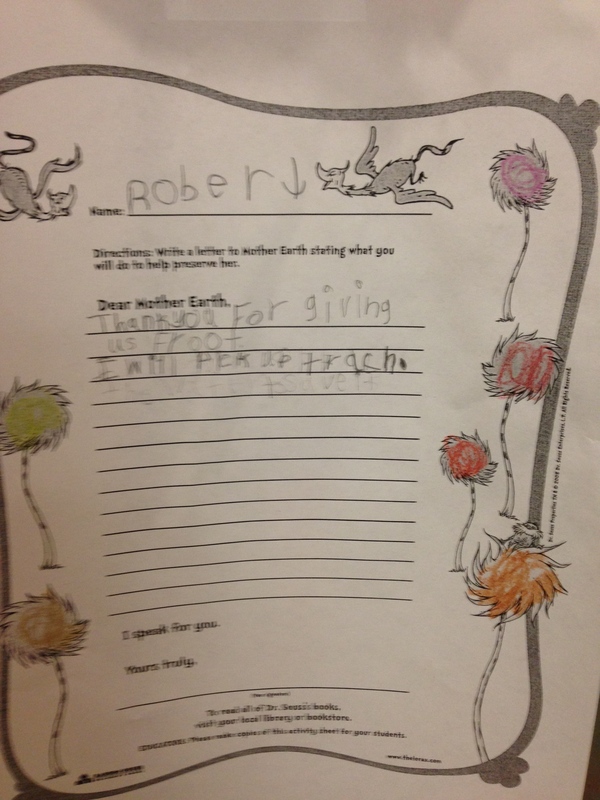 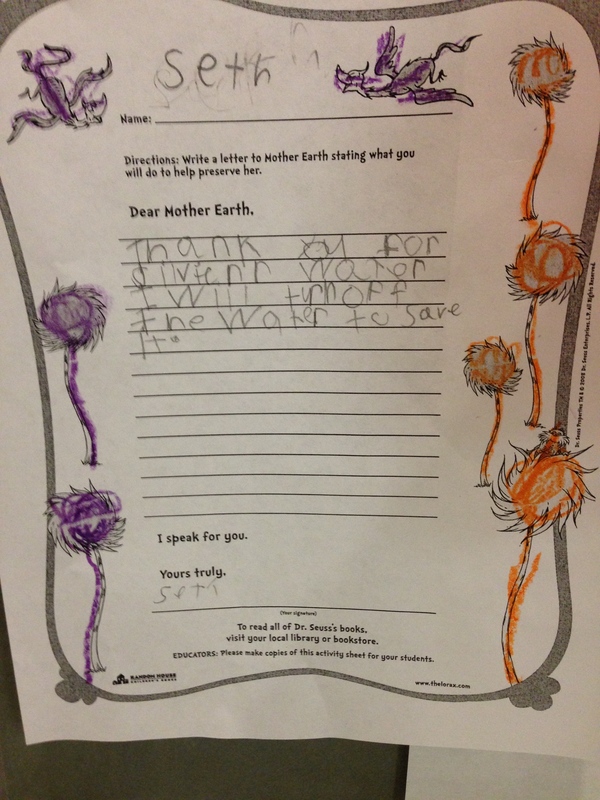 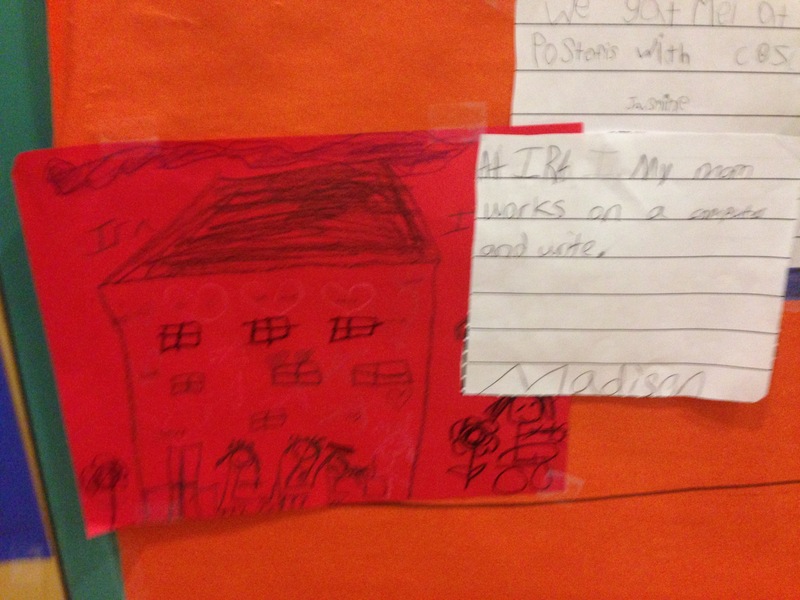 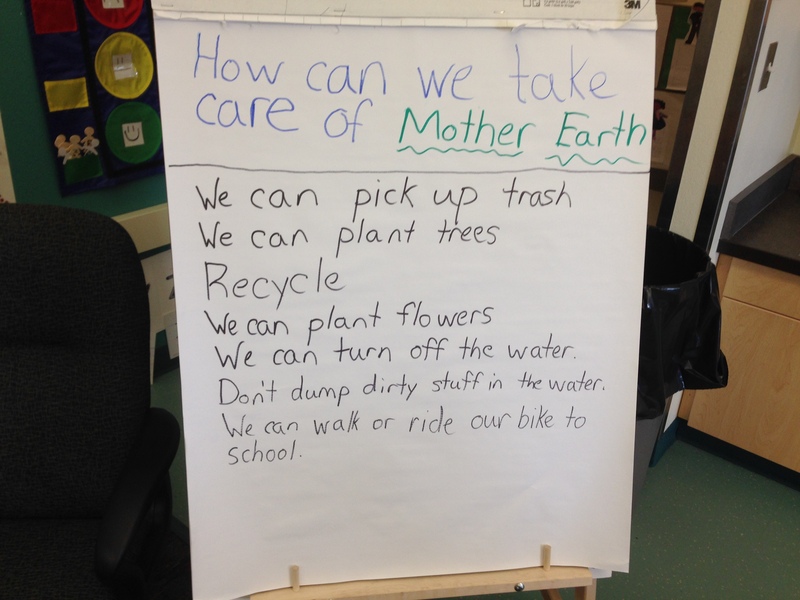 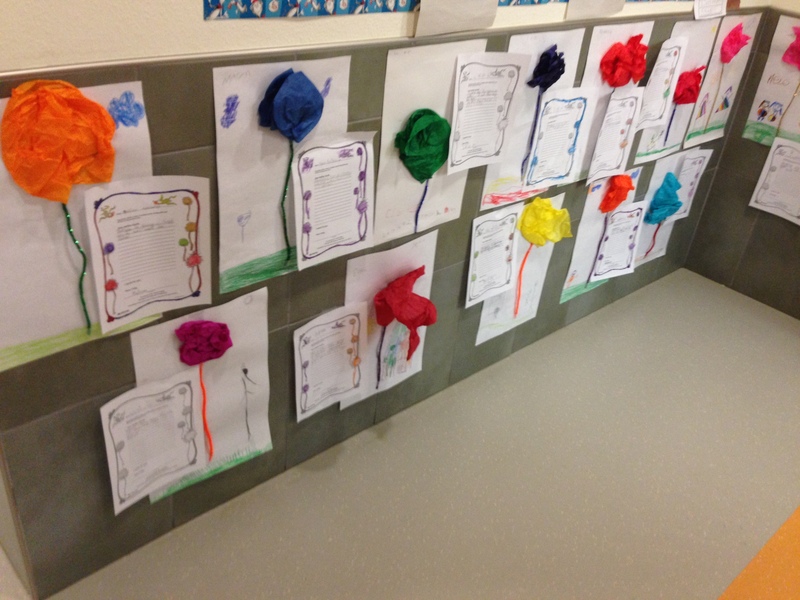 1st grade worked on their own paper with a topic sentence and two details. 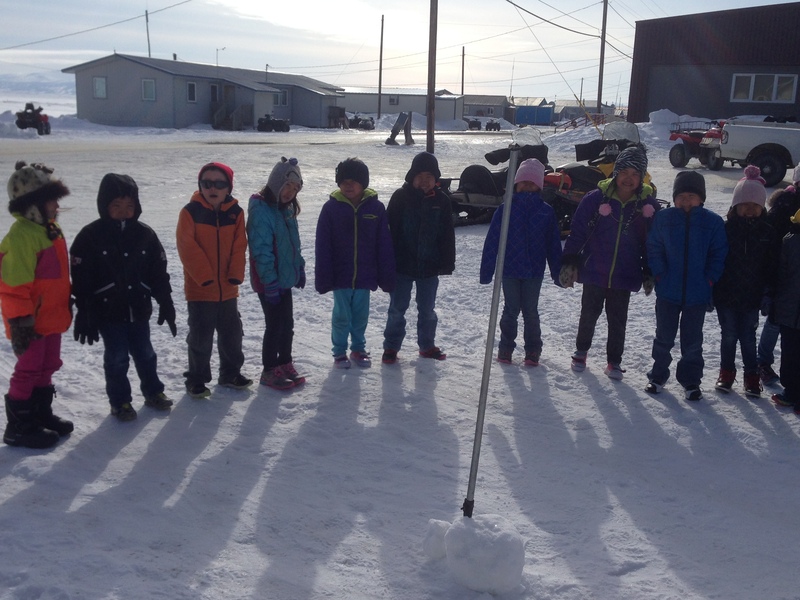 The next day we created our own class sun dial by putting a tall stick in the snow and marking where the shadow of the stick ends at various times throughout the day. 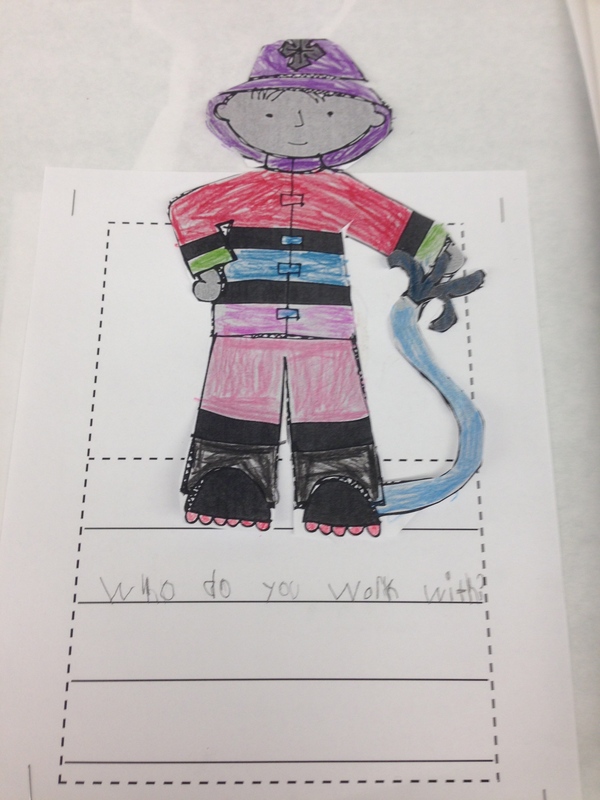 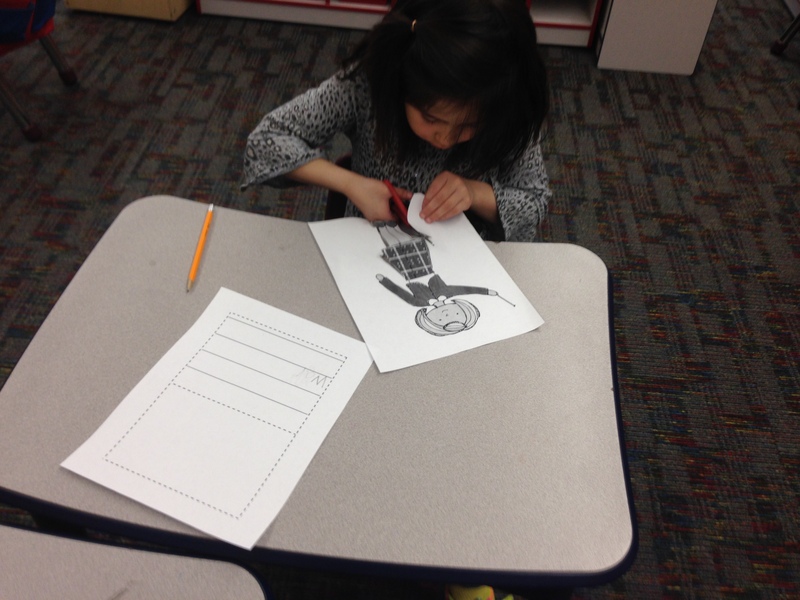 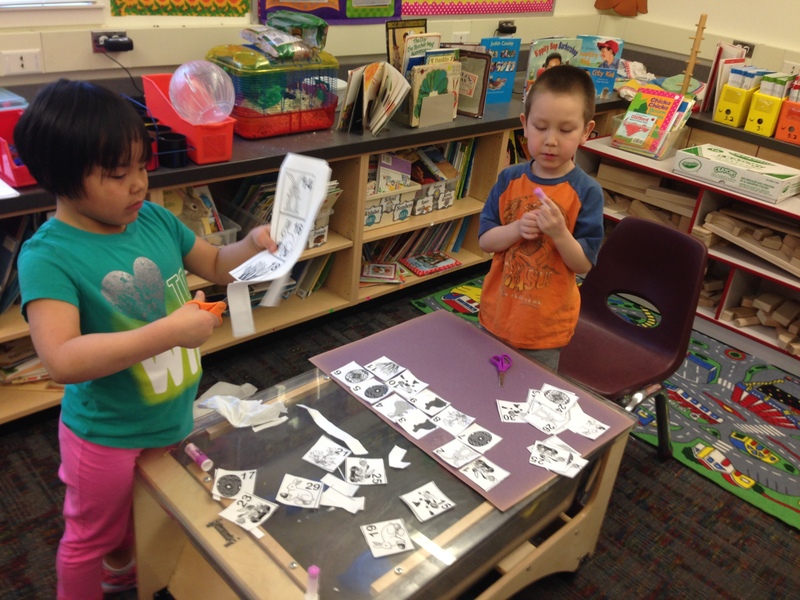 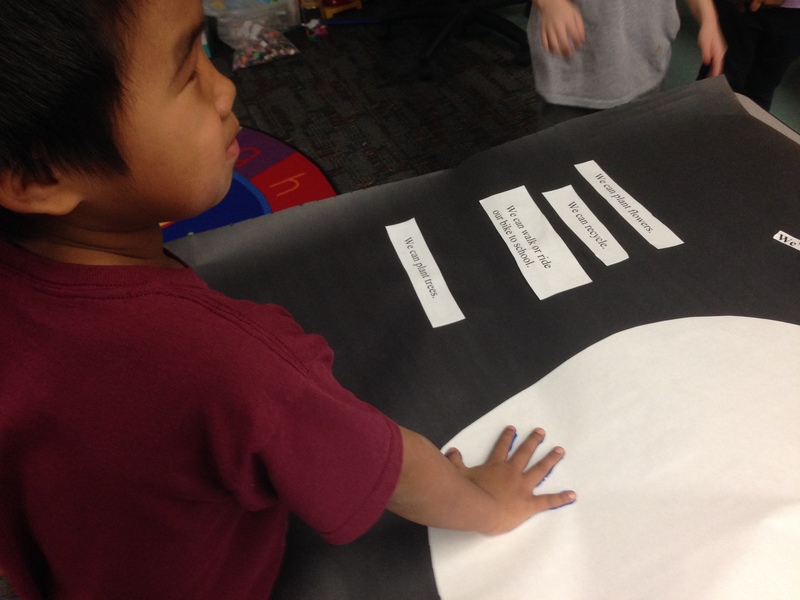 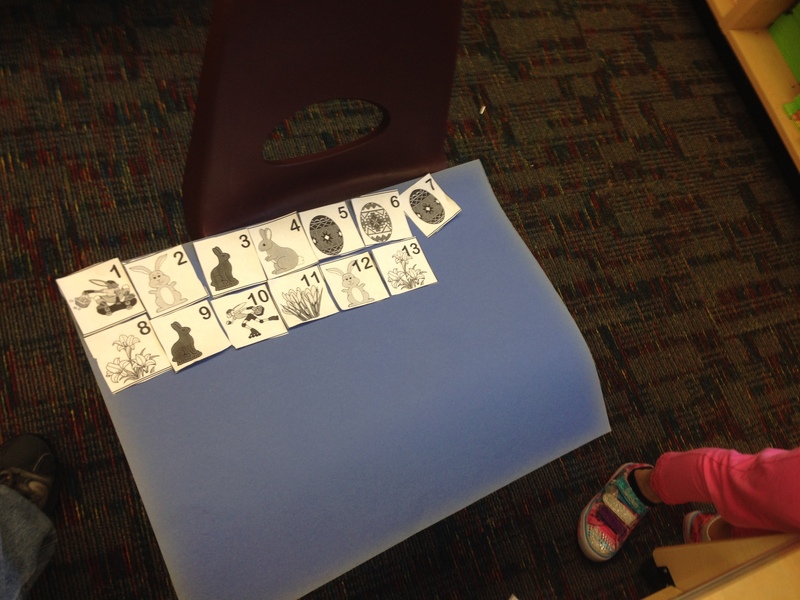 As we near the end of the school year our kindergarteners have been working on becoming independent readers and learning about elements of a story. 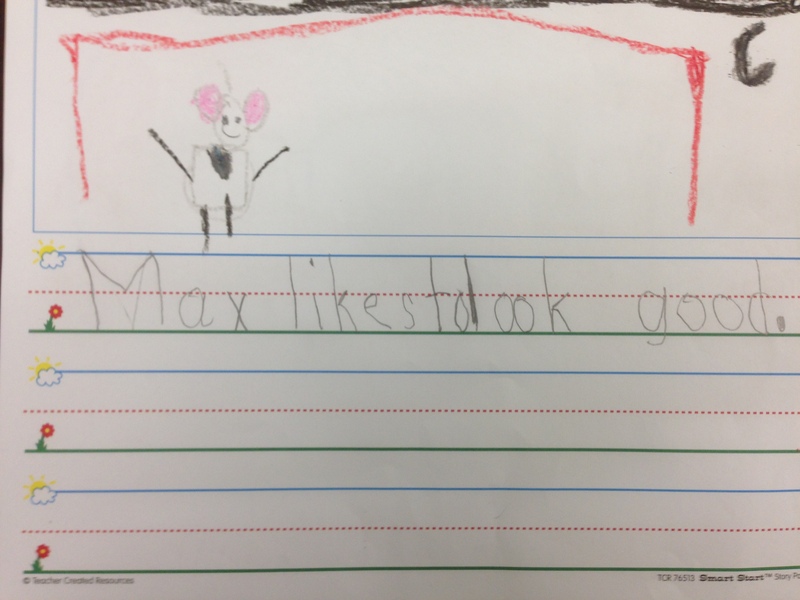 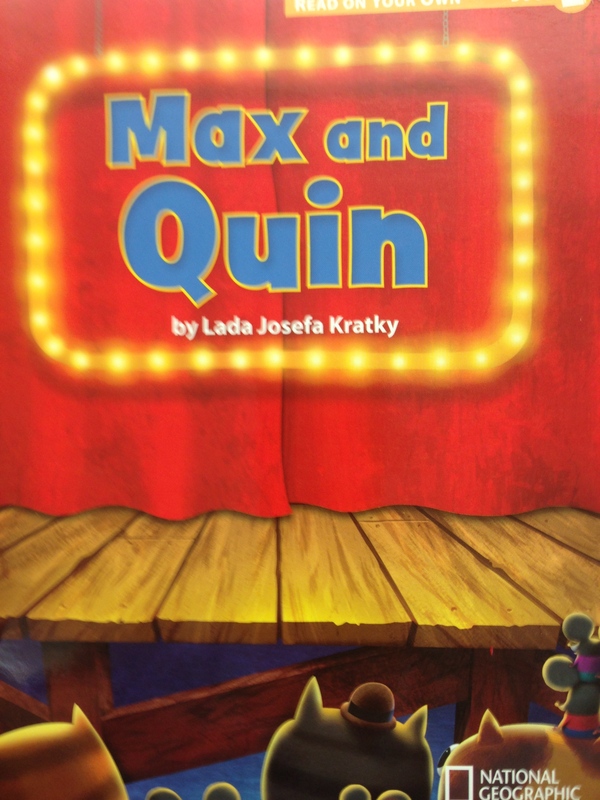 We read one of our Read On Your Own decodable book called Max and Quin. 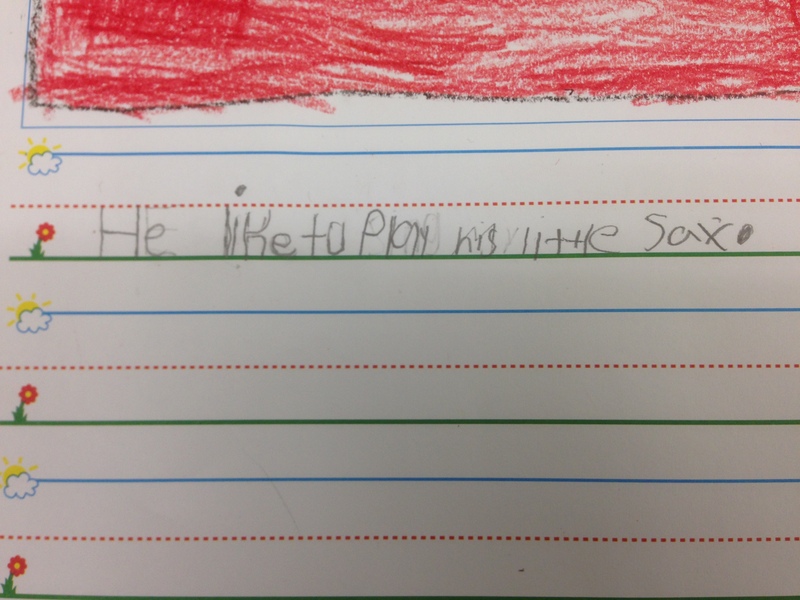 This story had words that students could easily decode as well as the sight words we’ve been learning throughout the week. 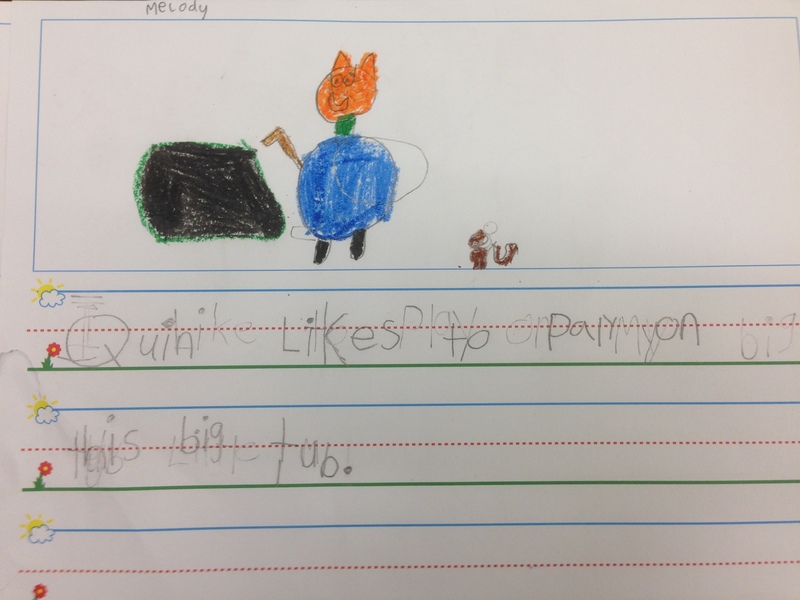 In the story there are two characters that have distinct characteristics. 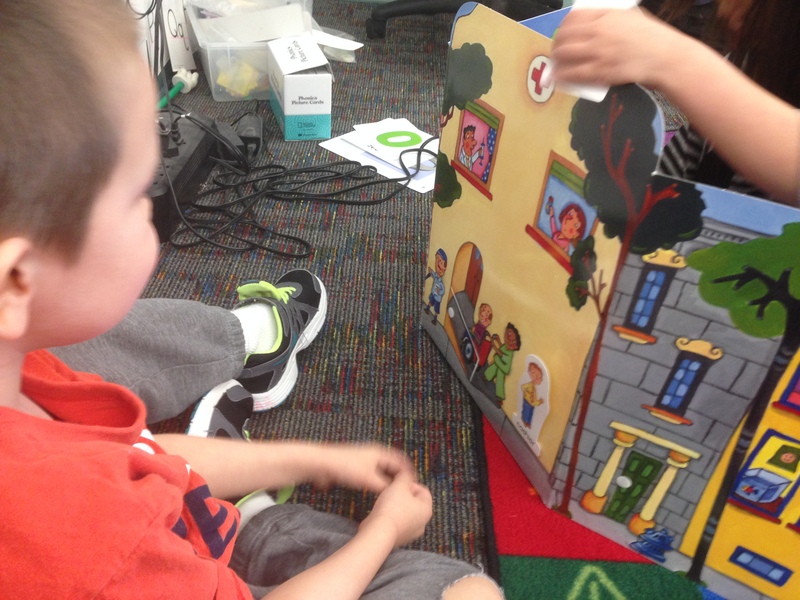 Students got into their reading partners and read the book to each other. 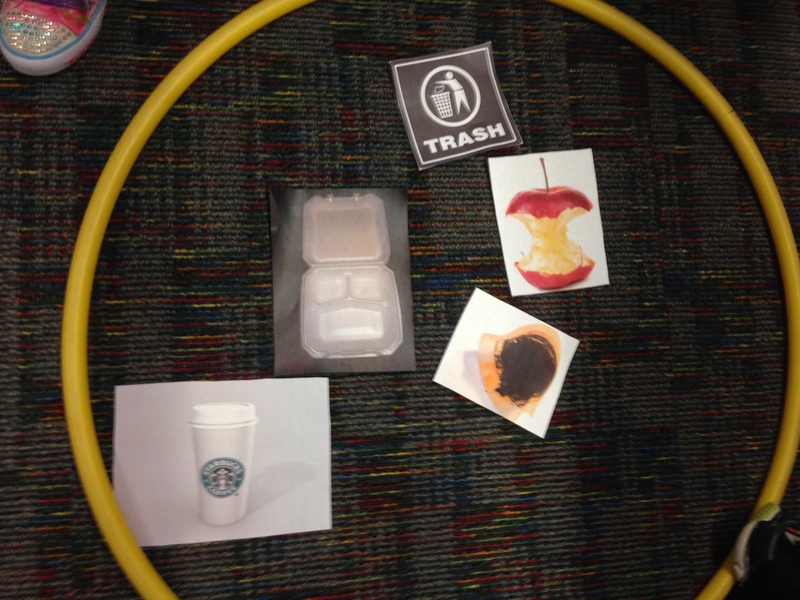 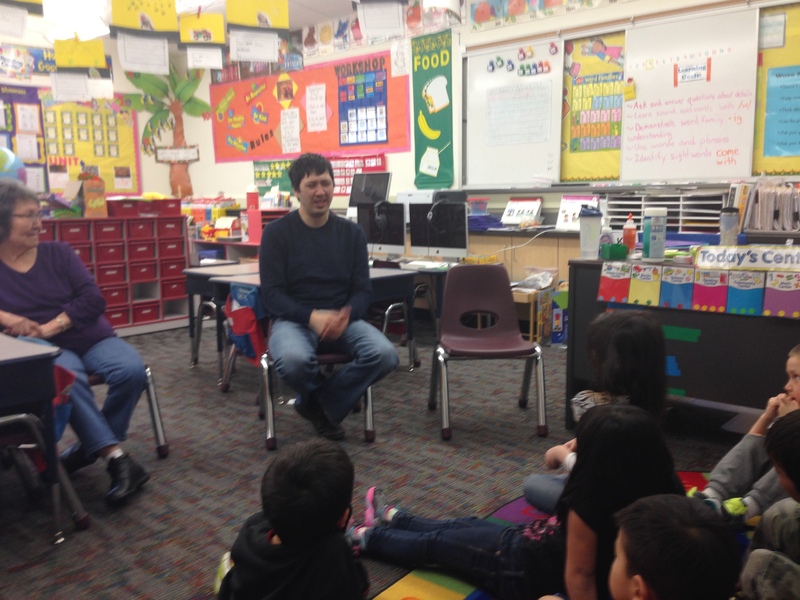 Then they picked a character (either Max or Quin) and described a character trait. 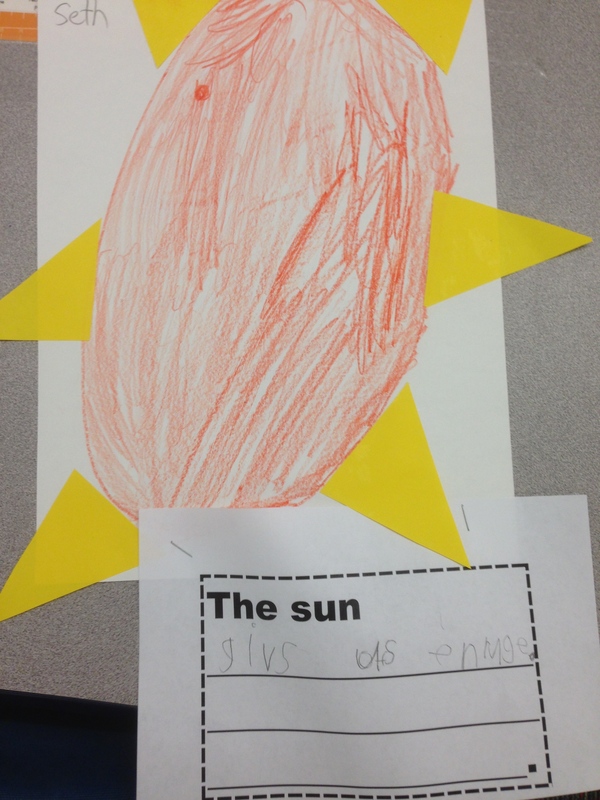 They were able to use the text to find evidence of their findings. 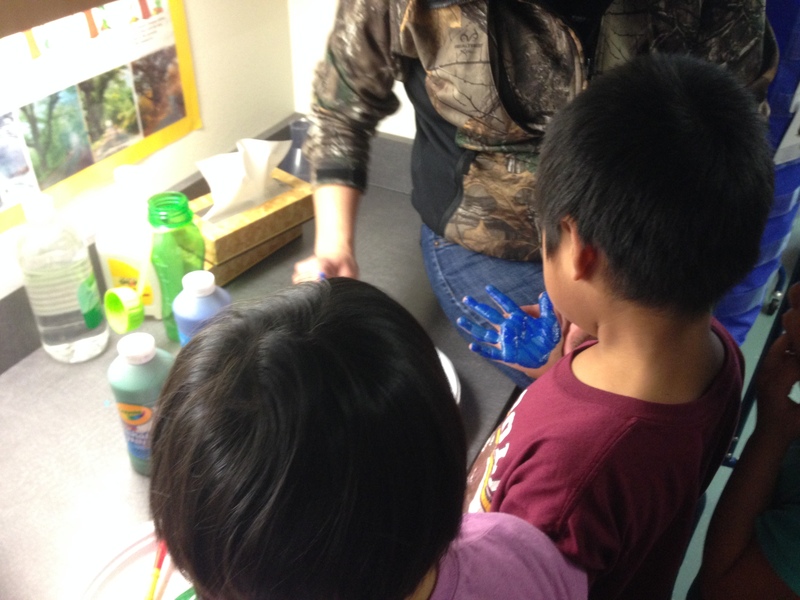 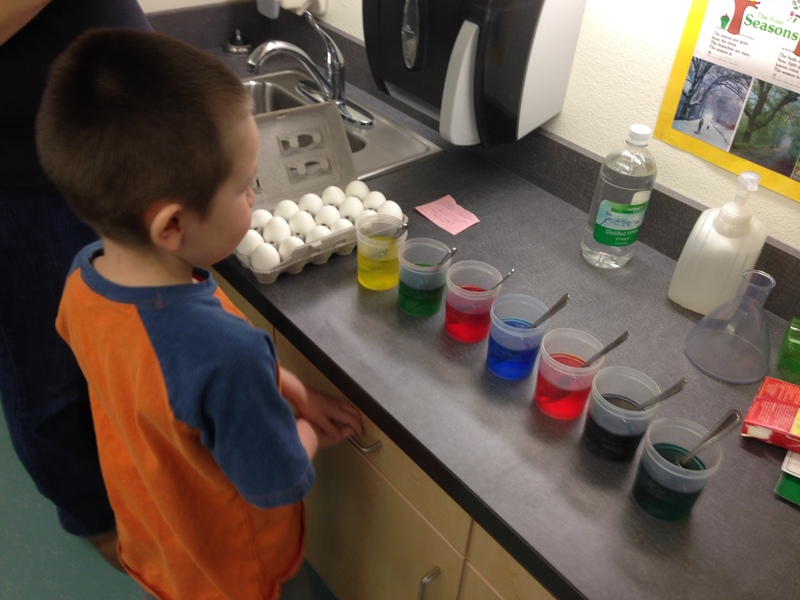 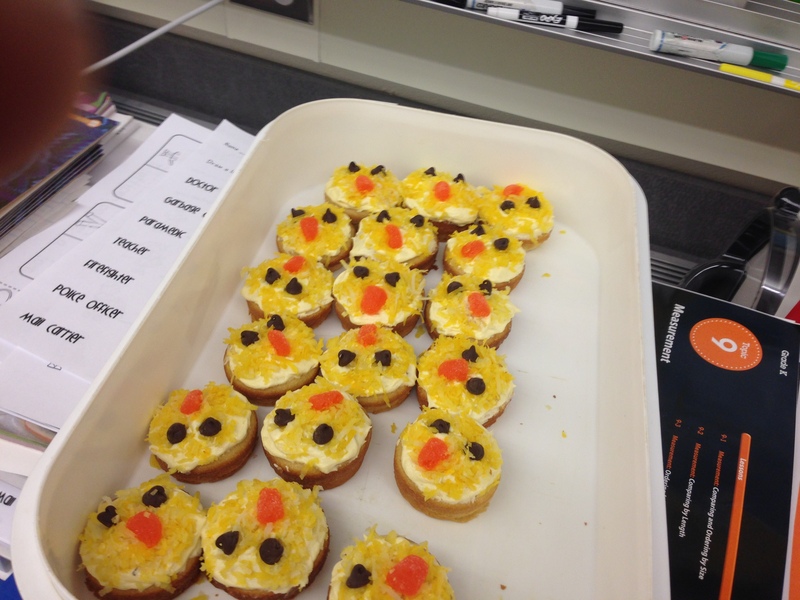 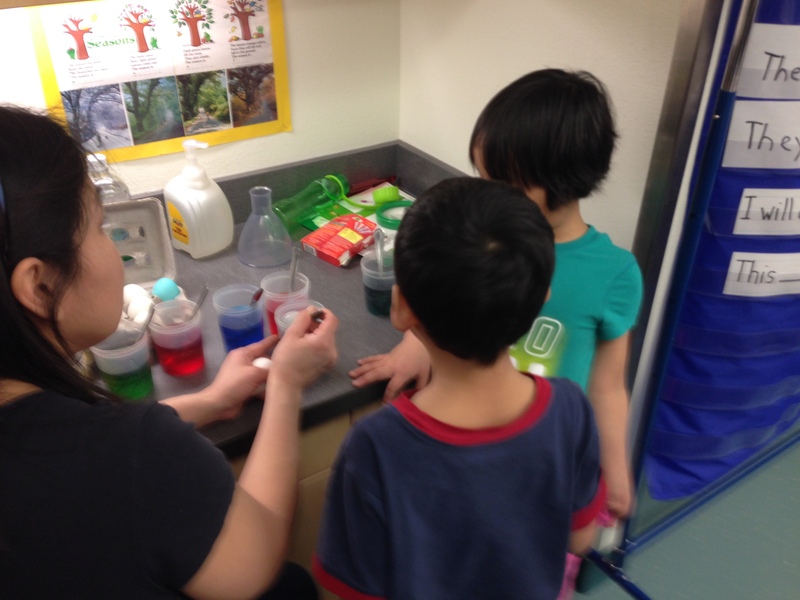 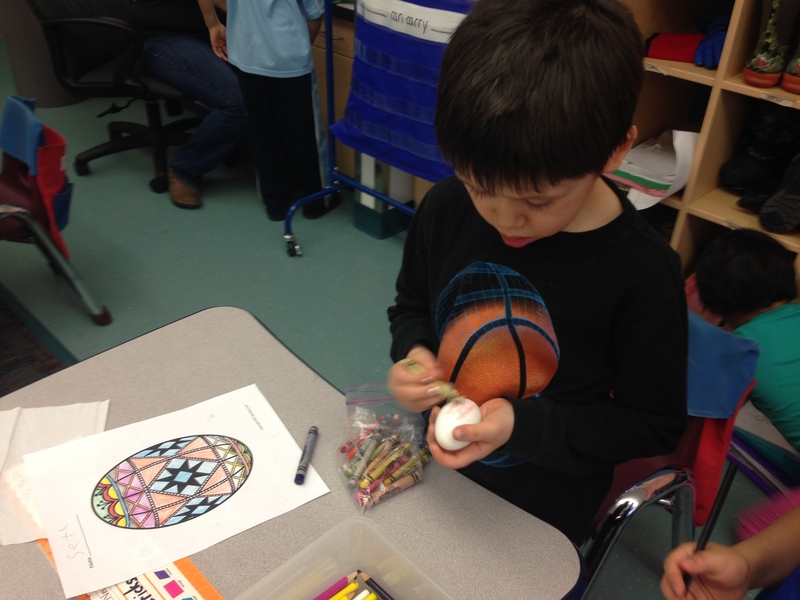 Yesterday in our K-1 All-Stars class we shared in some Easter fun with easter related centers and egg coloring. 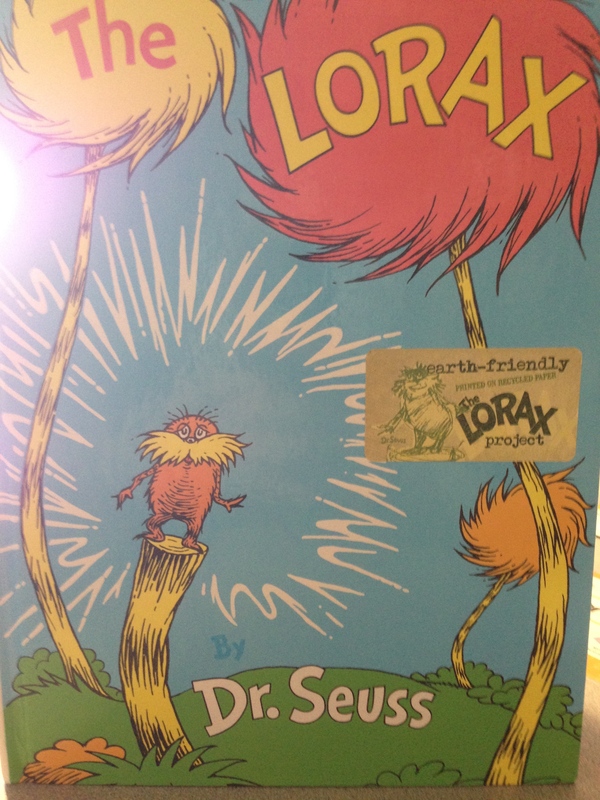 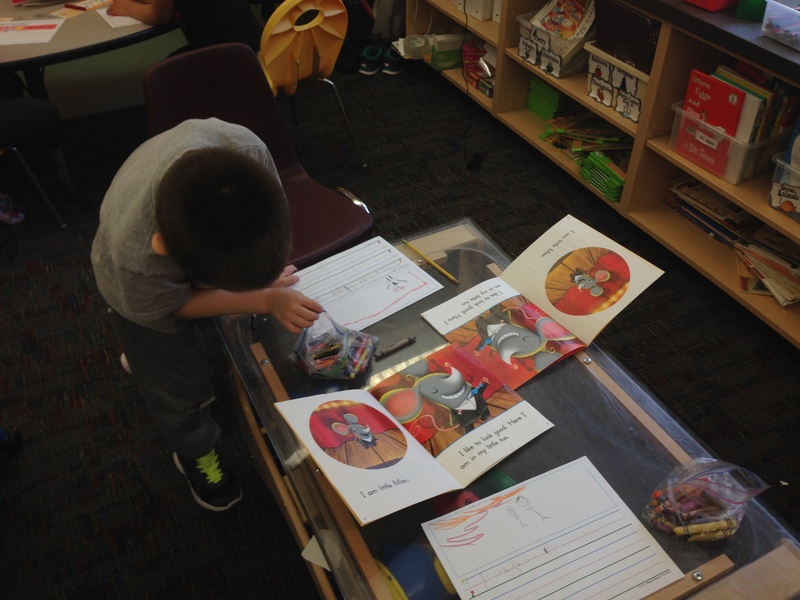 We also read the book Easter Eggs Everywhere! 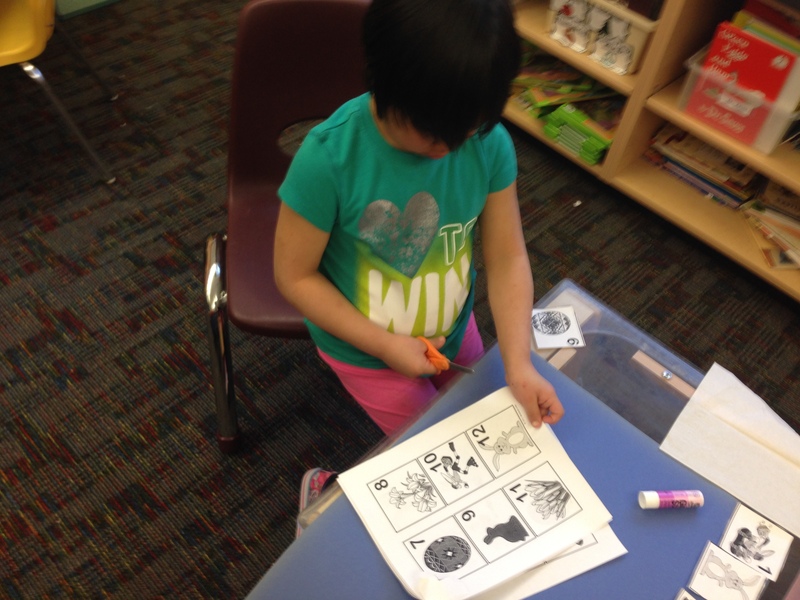 and discussed the different sounds that the vowel E says. 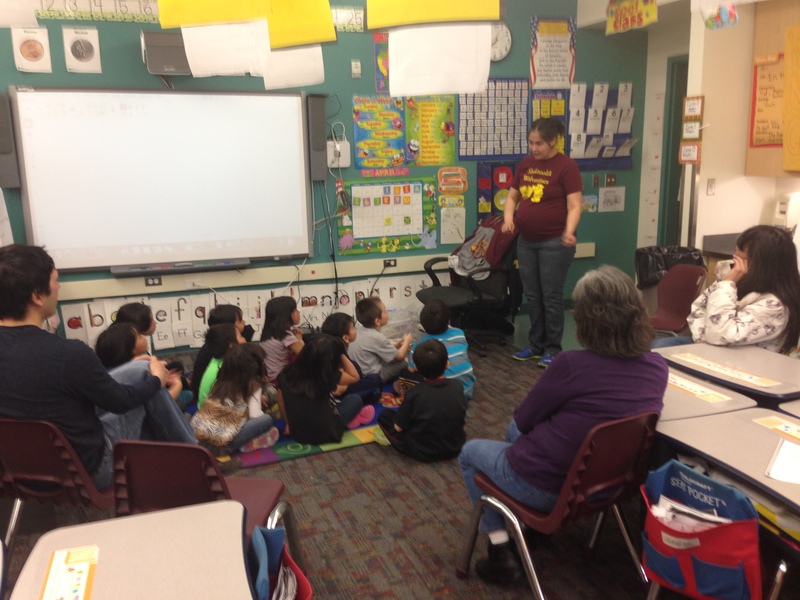 Sorry for the long absence in updates it has been quite a busy month with Spring Break and basketball tournaments! 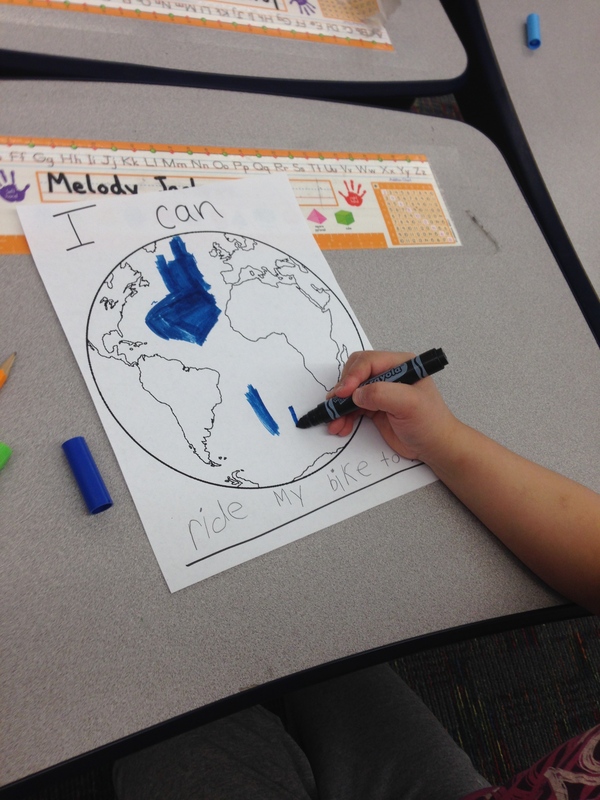 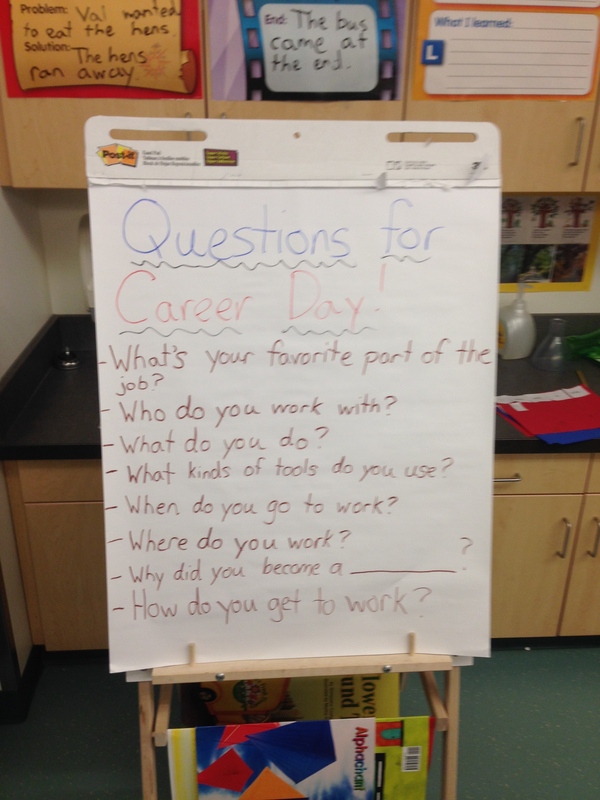 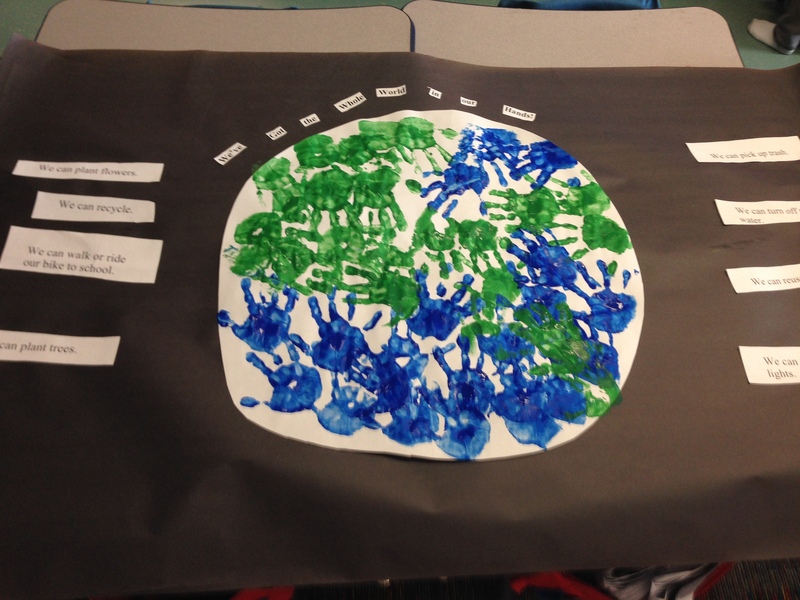 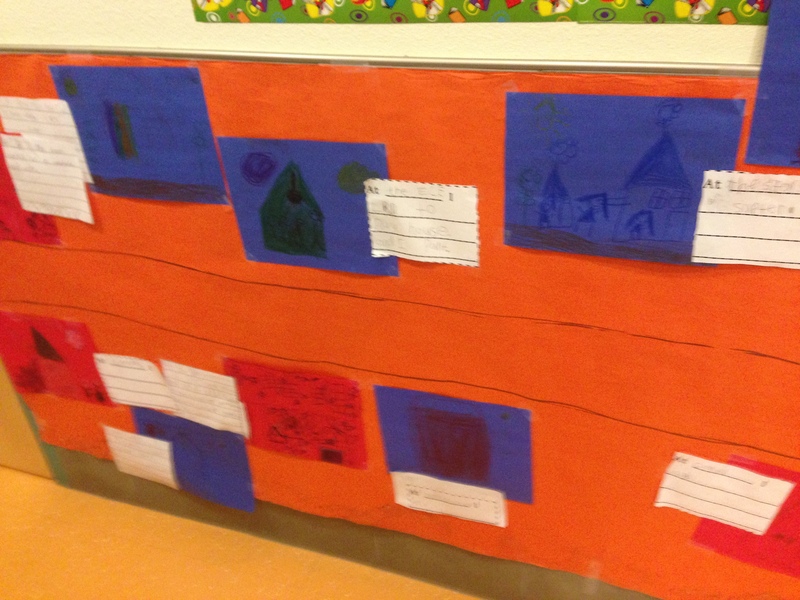 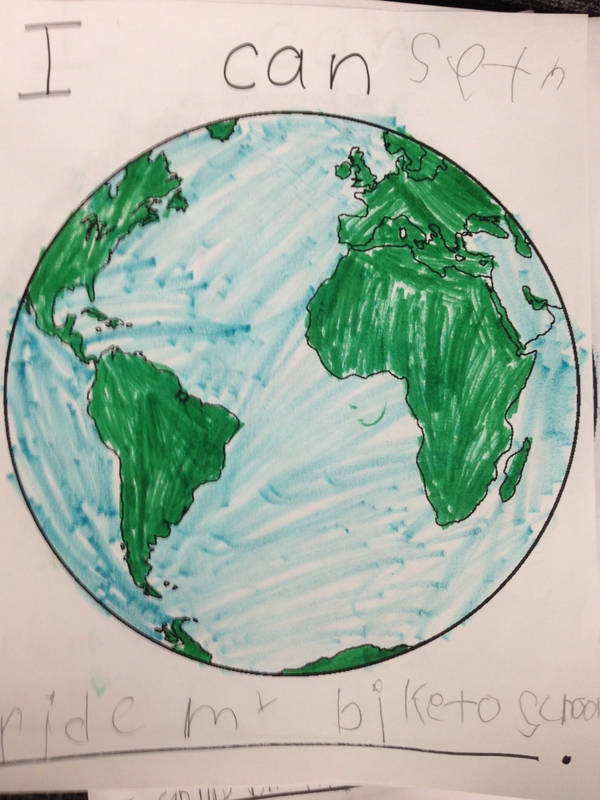 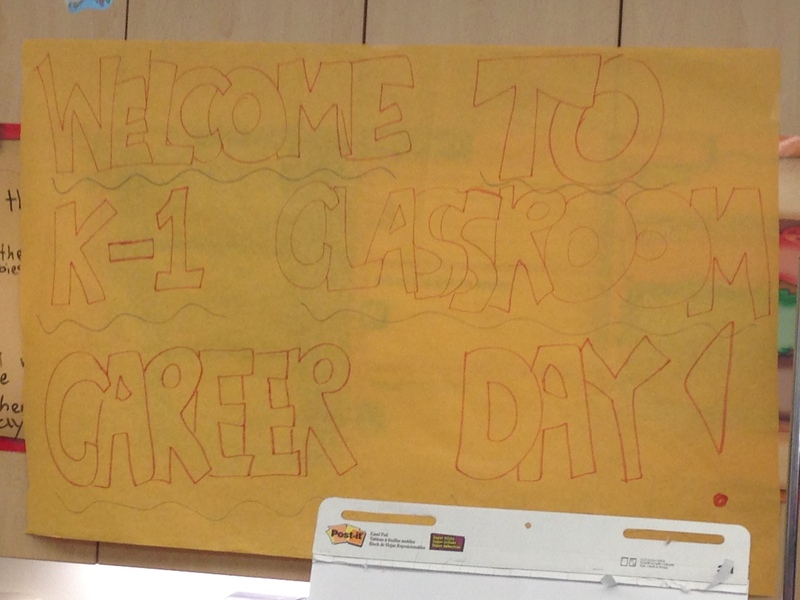 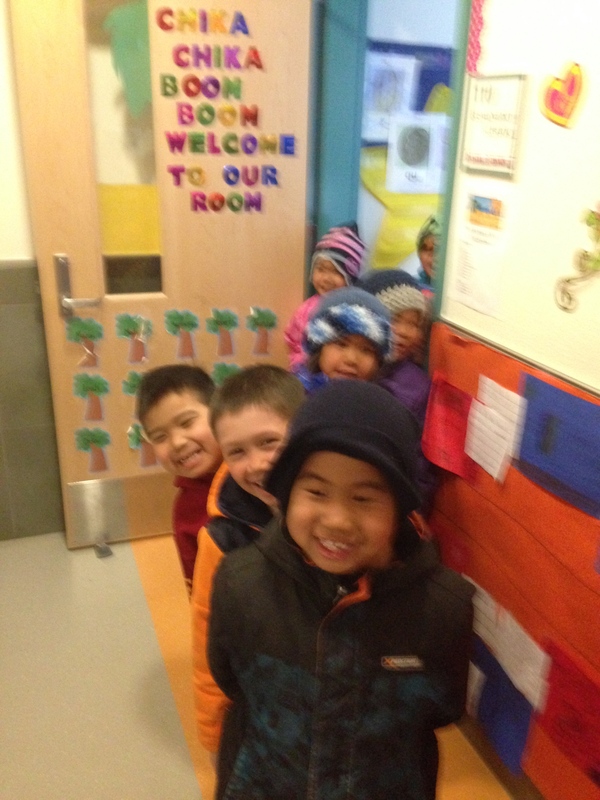 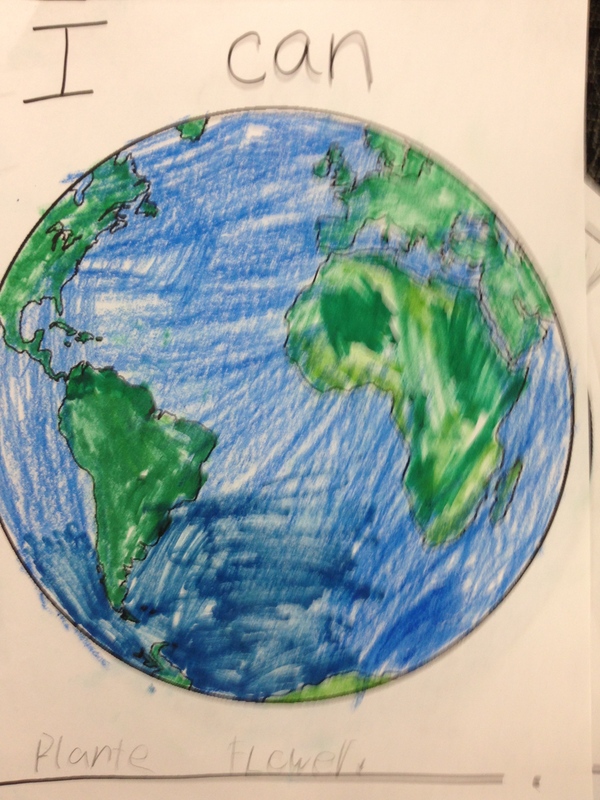 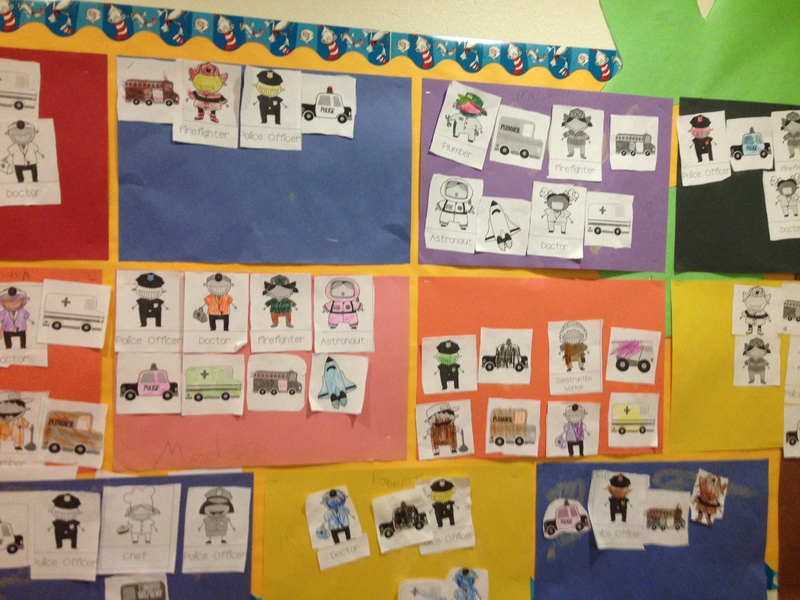 Our class has been learning about places in our community and jobs in our community; and around the world! 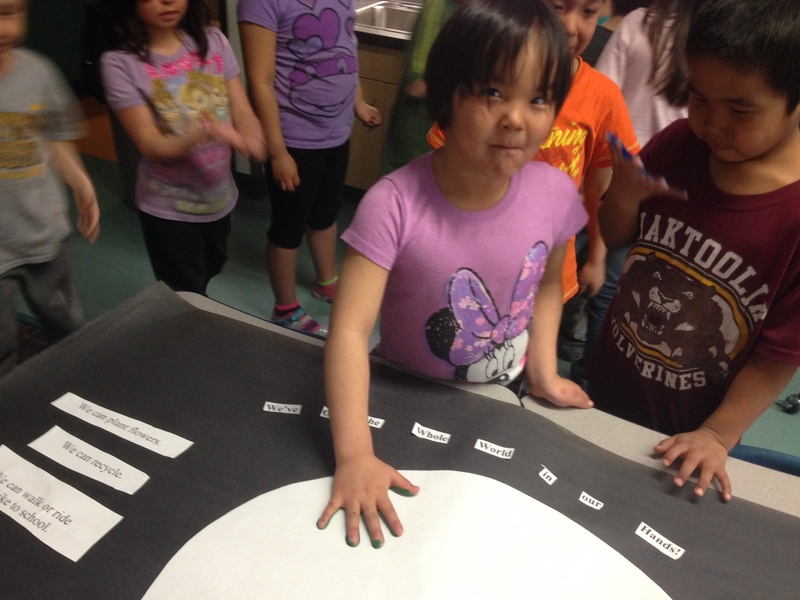 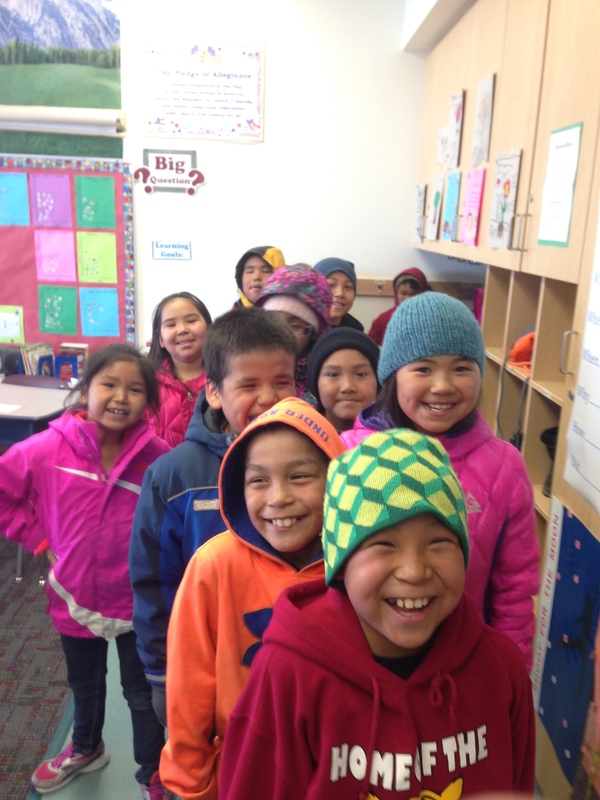 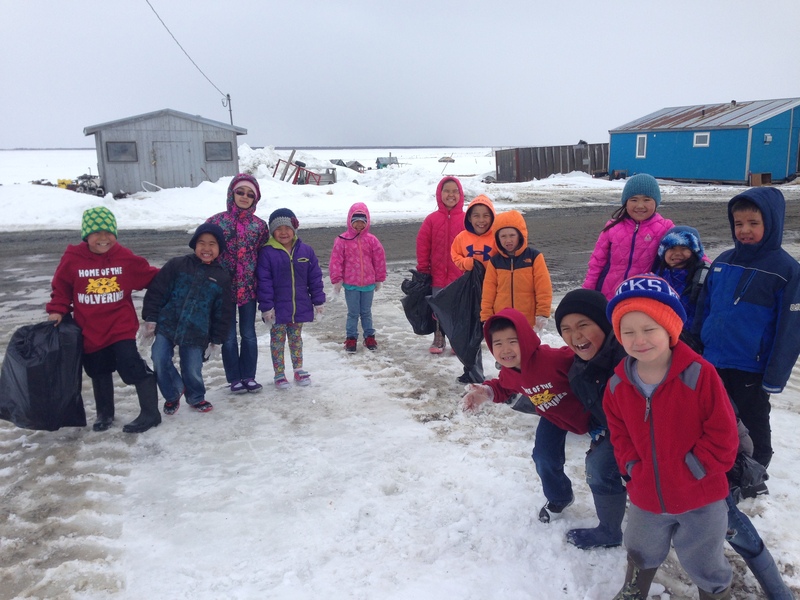 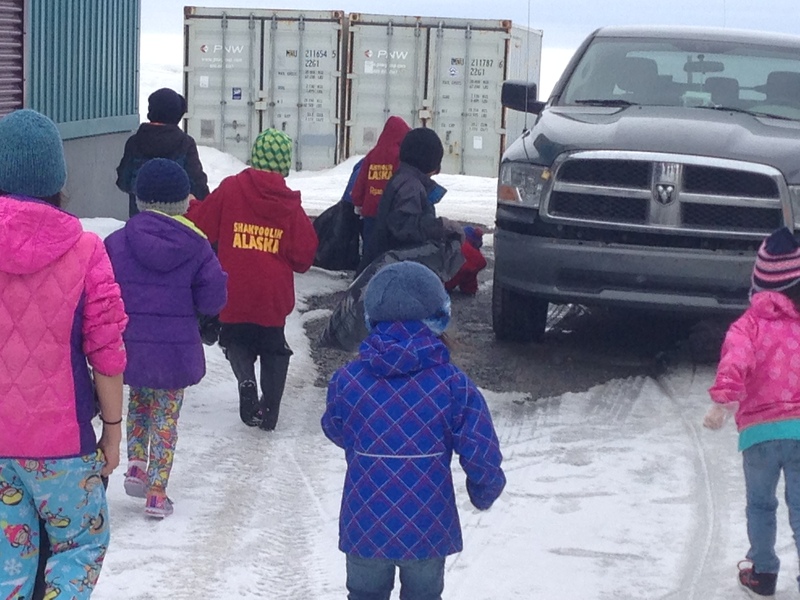 We went on a class trip to talk to members of Shaktoolik, and created a whole Shaktoolik map of the places that the students felt were important. 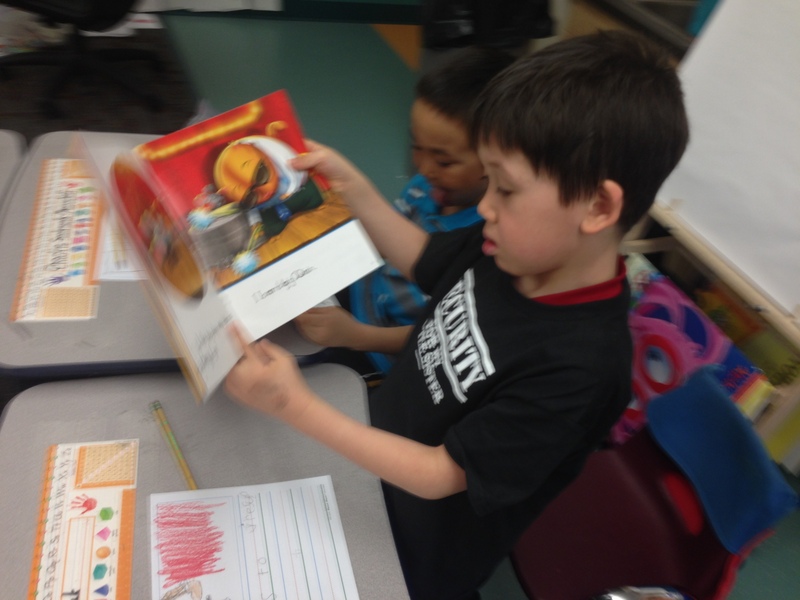 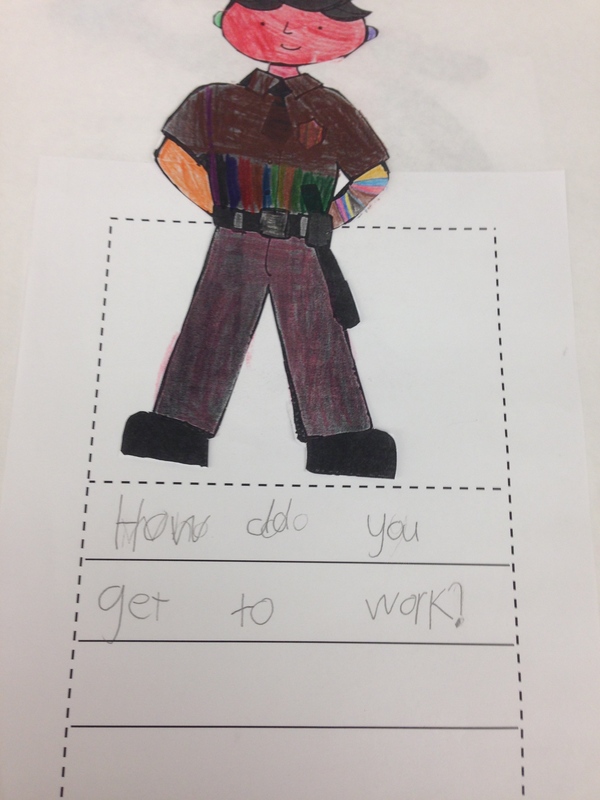 We have been reading books about community helpers and their tools. 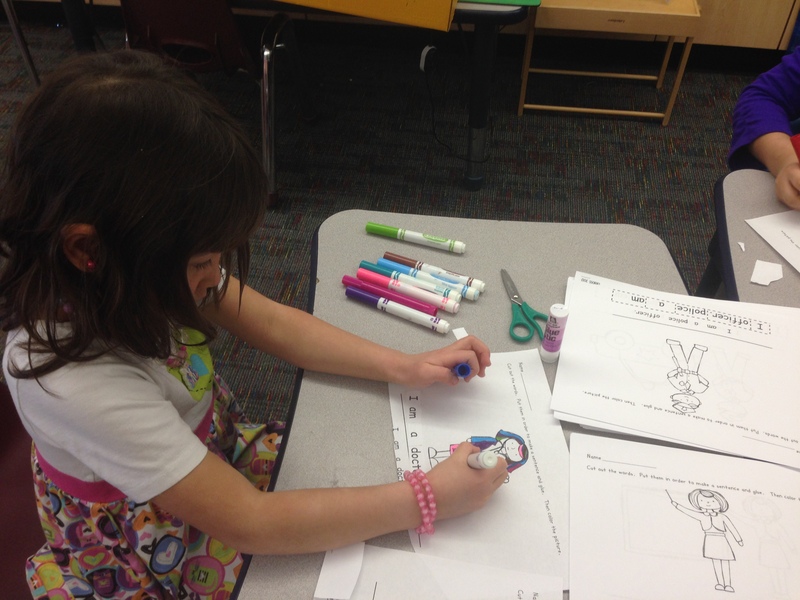 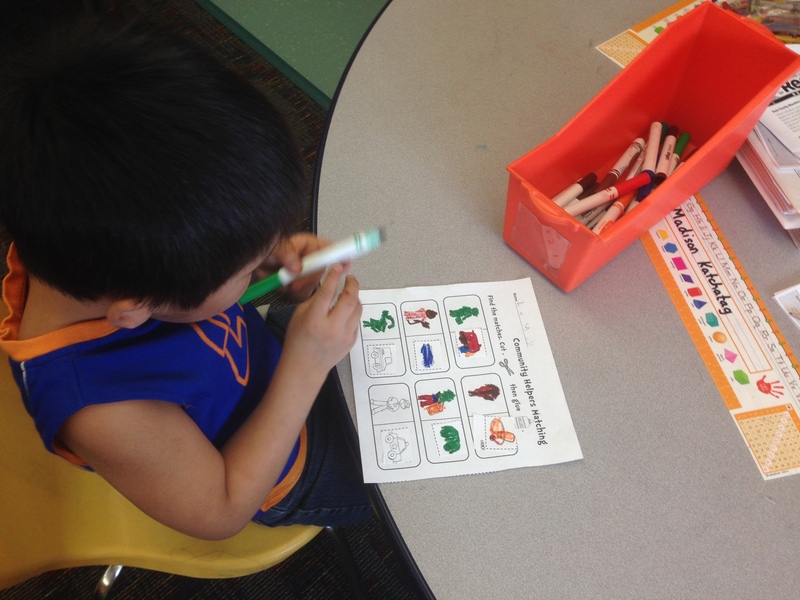 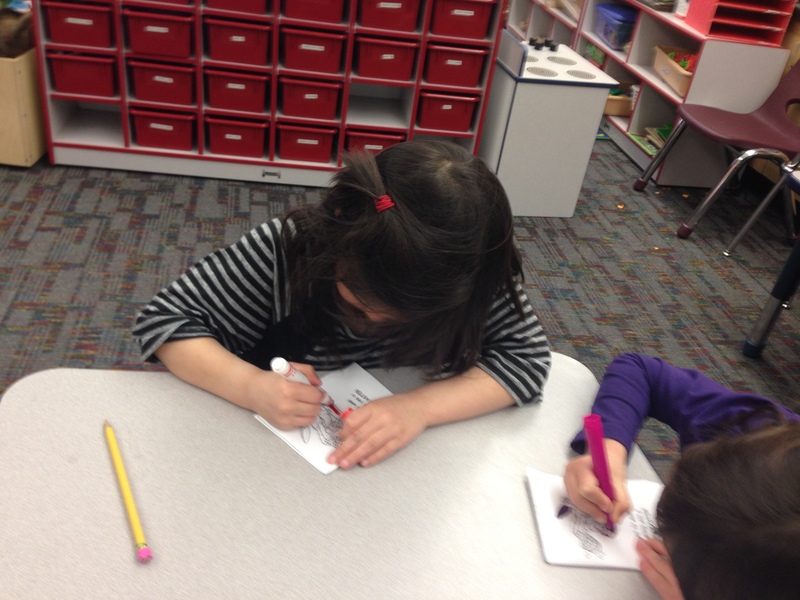 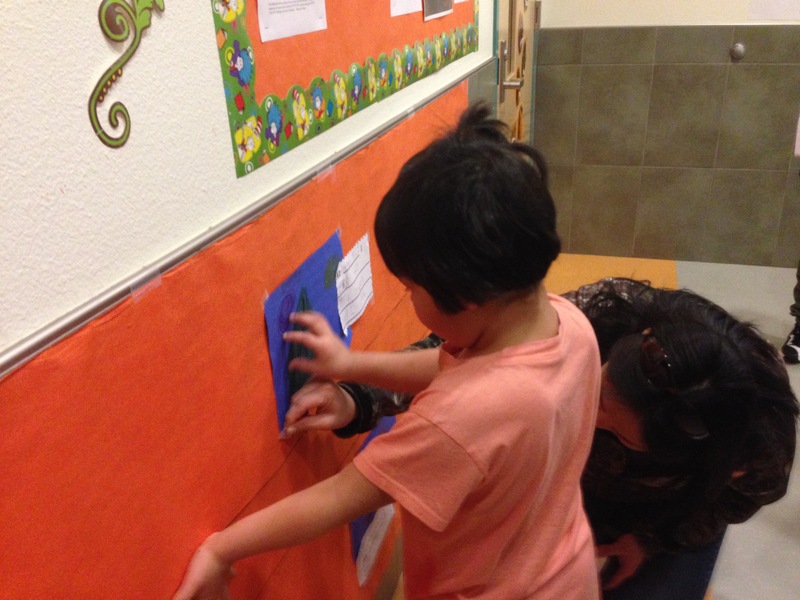 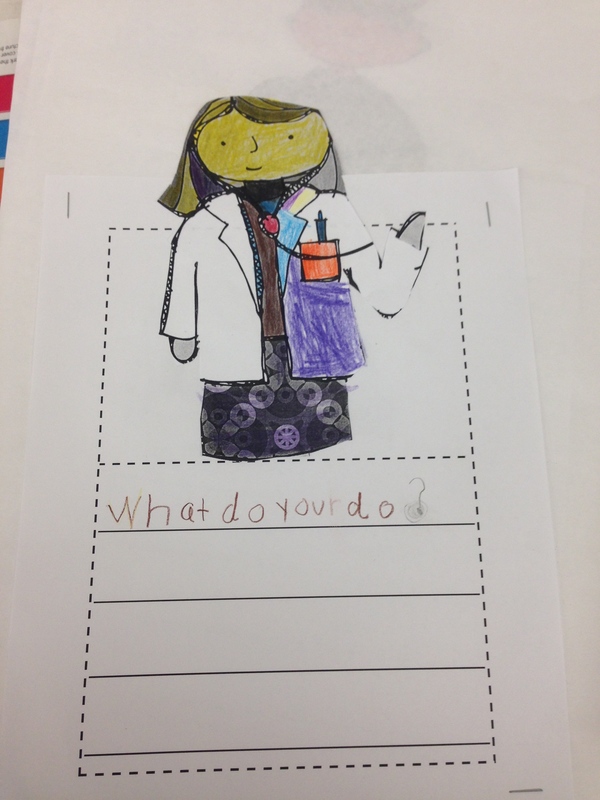 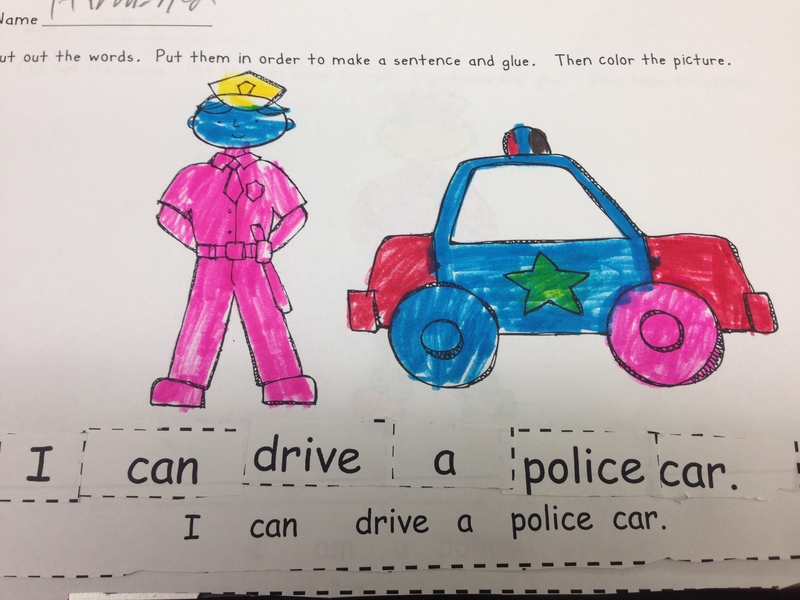 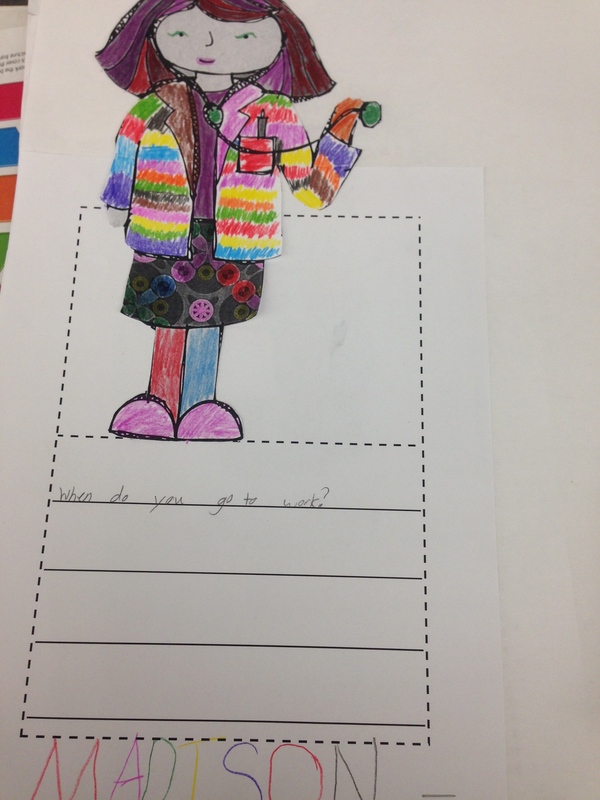 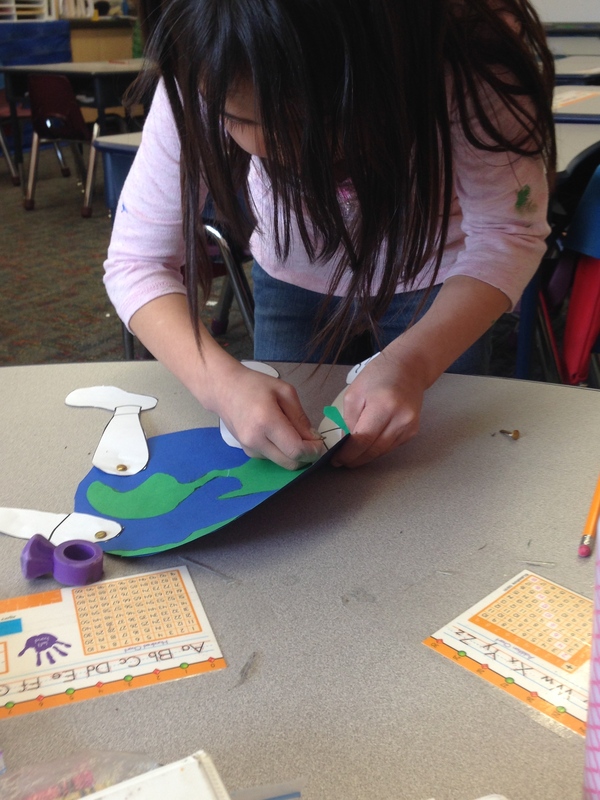 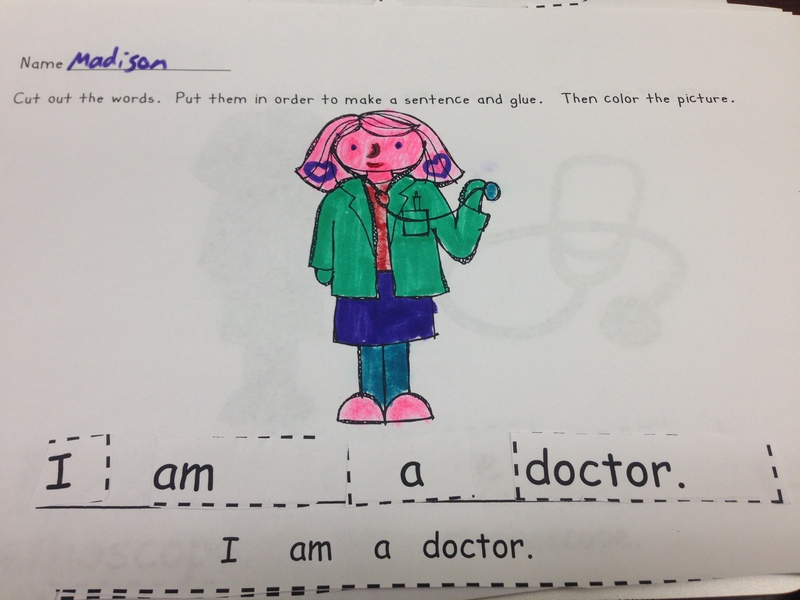 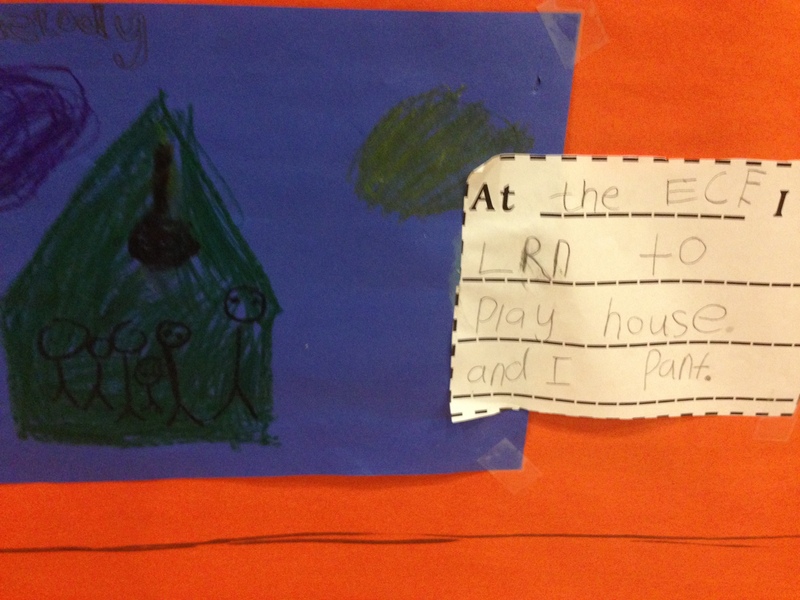 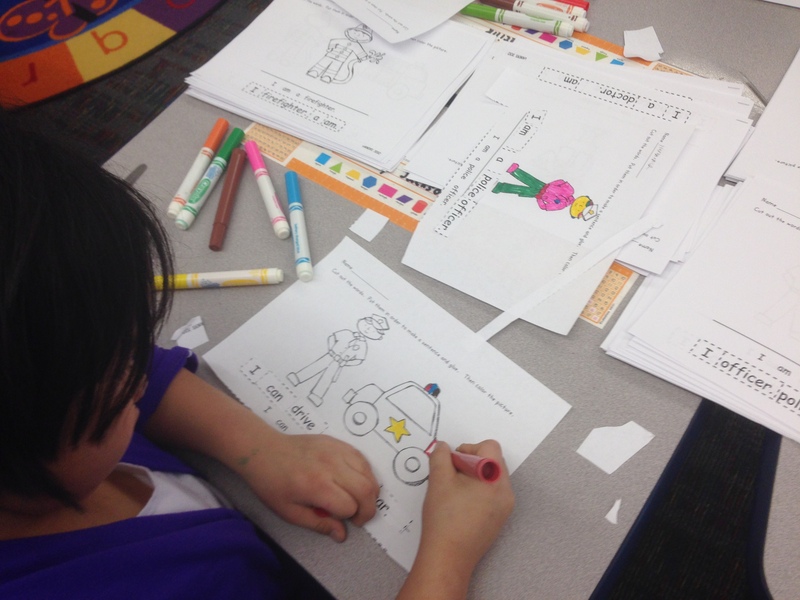 We have also been doing literacy centers with a community helper twist!